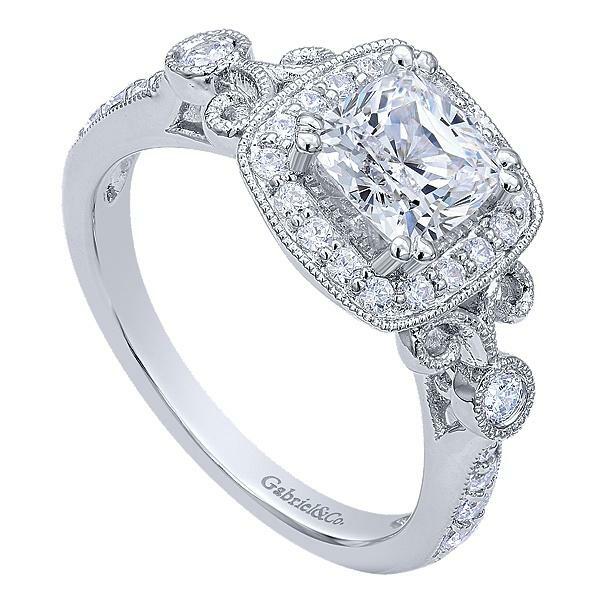 This wonderful 14k white gold Halo engagement ring features .72 carats of round side diamonds. The diamonds offer SI clarity with G-H color. 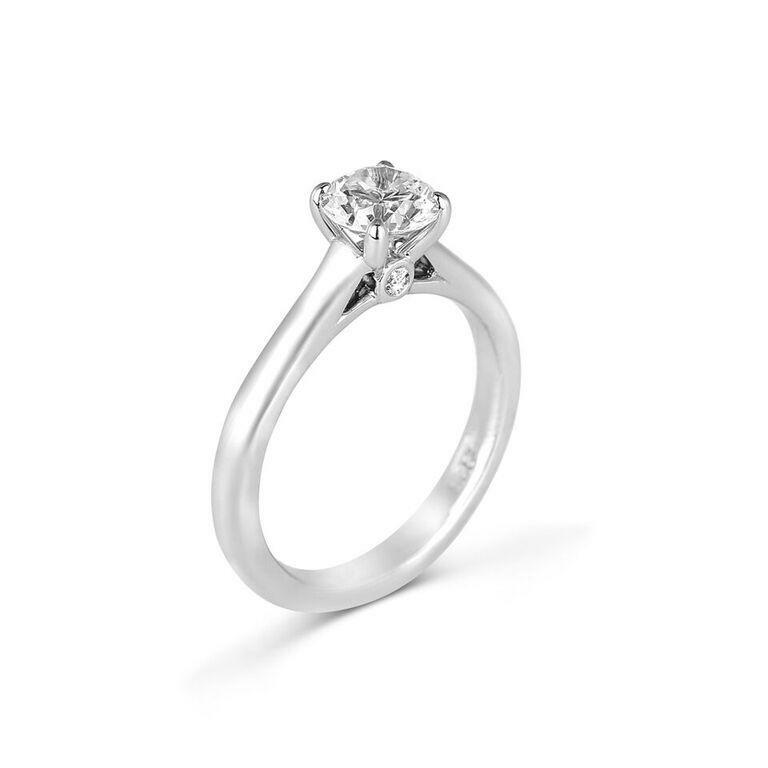 *Center stone 1/2 to 3/4ct pear shape is not included will Quote Price to supply center. 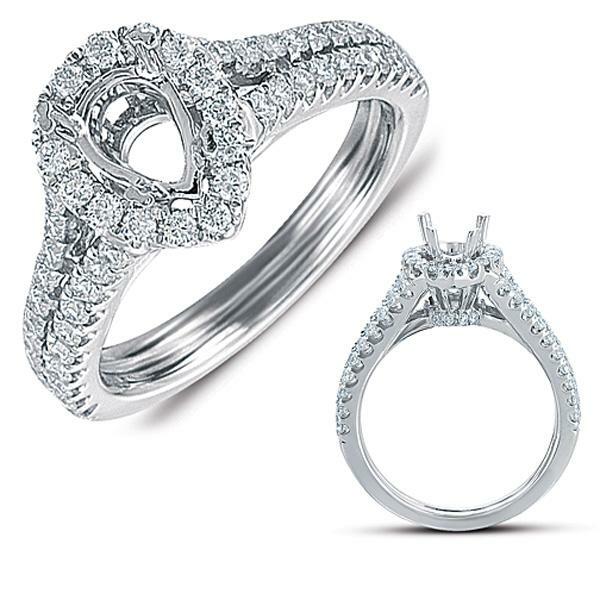 NOTE: 14k white gold size 6 1/2 is in stock and ready to ship. Other sizes made to order and are available in sizes 5 thru 8. Available in 14K white, 14k yellow and 14k Rose gold made to order and takes 4 weeks to make and ship on special orders.